Minivans are in the heart of a family. They make for great memories. Minivans can seat many passengers, which means that the whole gang can come along to for that camping trip or sports game. Wherever your family wants to go, do it in a minivan. Plus, choose a used, wholesale minivan to get the most value for the lowest price. 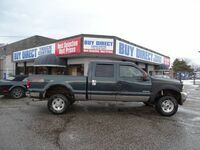 At Buy Direct Truck Centre, we specialize in pre-owned vehicles and we always keep a healthy dose of wholesale vehicles on our lot. Explore our inventory on our website and keep reading below to learn about the benefits of purchasing a used, wholesale minivan here at Buy Direct Truck Centre. Our wholesale minivan inventory includes different makes, models, and model years. You can find your favorite brands and compare them to the competition in one place. Plus, you can find many different colors and additional features. 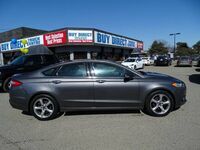 Our inventory is always changing so come back multiple times until you find the vehicle that fits your needs. Our current wholesale minivan inventory includes vehicle brands such as Dodge, Honda, Chevrolet, and Nissan. Wholesale vehicles are not going to depreciate more than they already have. Plus, they are often sold for below market value. Together, these factors mean that a wholesale vehicle is a great value, because it will keep its resell value. 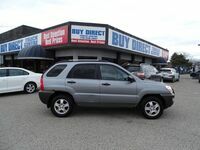 So, come into Buy Direct Truck Centre to find a vehicle that you can afford. Buying a wholesale vehicle does not mean that you will be wholly in the dark when it comes to the vehicle’s history. Wholesale vehicles are often vehicles that were owned by government organizations or other corporations, which means there are records of the vehicle’s history including car accidents and maintenance repairs. Not every wholesale vehicle will have available records, but it is something worth looking for. For those of you that have suffered from bad credit, do not worry. Our professional finance department can work with you to find a finance plan that works for you. They will make sure you get to leave with your used wholesale minivan and a plan in place to pay for it. You can use our website to get credit approval, to learn about our financing department, and to contact them. We encourage you to contact them with any questions or inquiries.